I recently had an opportunity to visit the Palm Springs area for the first time and there I discovered another type of cottaging. 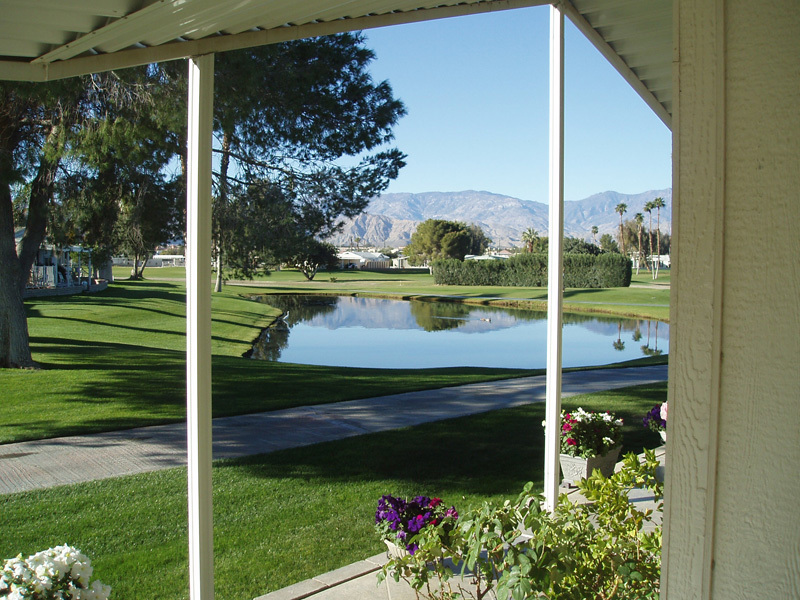 Owing to the warm dry climate, mobile homes are a popular choice in the Coachella valley which is home to nine cities including Palm Springs at its northwest end. The median age there is 47, which meant I was more than one kind of hot for a few days. 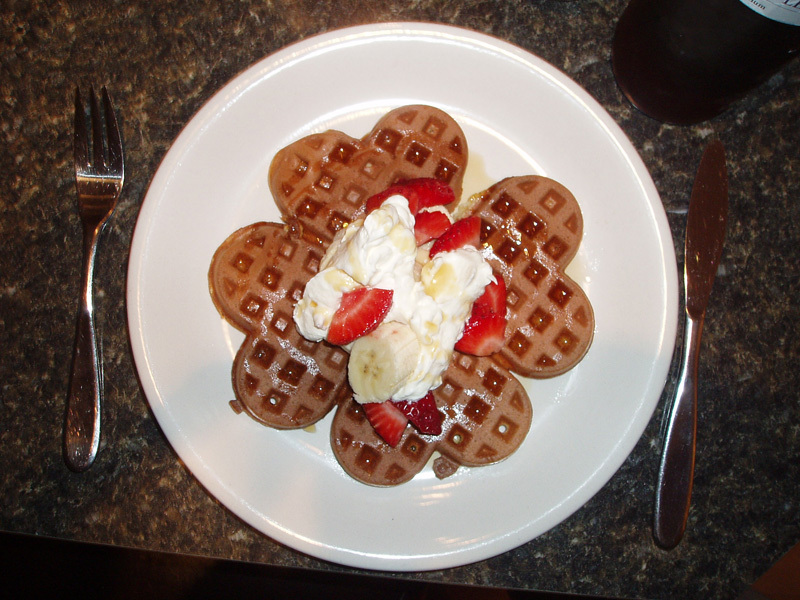 The mobile home I stayed in was what is known as a double-wide, but it felt a lot like a cottage, with two comfortable bedrooms, two baths and a large, open kitchen/dining/living room with a high ceiling and lots of windows. And just as with a cottage, much emphasis here was placed on the outdoor space: comfortable patio areas -largely sheltered from the sun – with room for dining, entertaining and gardening. This home is set on a golf course water feature, which lent it a bit of an ‘oasis’ feel, and the nearby mountains were a different sort of beautiful at every time of the day. The principal benefit of a desert cottage is the quite reliably fine weather from November through April. From May on, temperatures soar, sometimes reaching highs of 114 F or more in the summer months, by which time the town has basically emptied out. Another huge benefit, just at the moment, anyway, is the price. 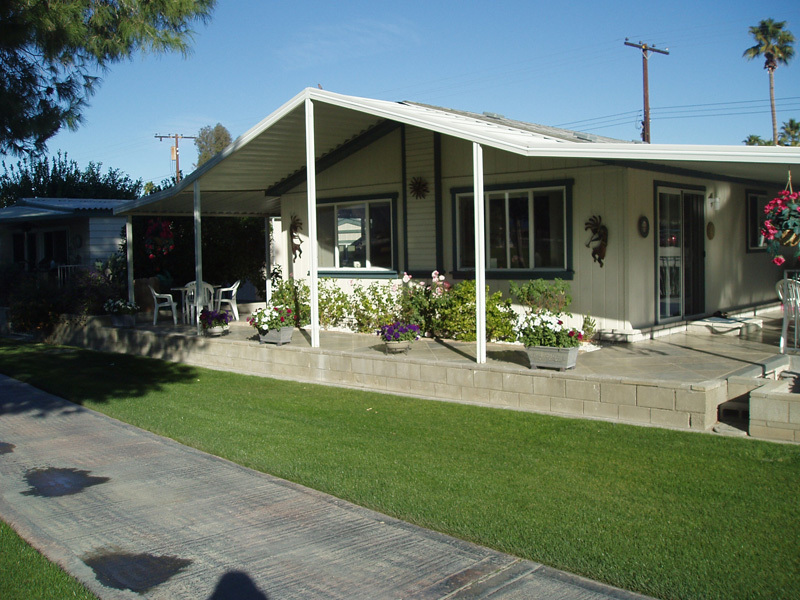 Mobile homes in this part of California can presently be purchased for $80 – $170 k, with the home I visited an example of what’s available at the higher end of that scale. The price includes full title to the lot and usually all the furnishings and a golf cart too. In this particular neighbourhood, Home Owner Association fees are $180/ month and include unlimited golf and a nice recreation complex with two pools, hot tubs, bar/restaurant and social rooms. The HOA fee does not include any maintenance on individual homes or gardens. These prices are considerably less than an equivalent cottage property in BC just now. The difference would cover your flight costs for a few years, in fact. The owners stress that this is not a ‘turn-key’ vacation home, however, as the extreme temperatures pose some special maintenance problems: When they close up in the spring they remove all art work, mirrors and knickknacks from the walls (because they are five miles from the San Andreas fault) and they cover the windows with sheets of foam and distribute large tubs of water throughout the home to protect from the summer sun and maintain humidity. A caretaker visits intermittently to refill the water reservoirs during the summer months. 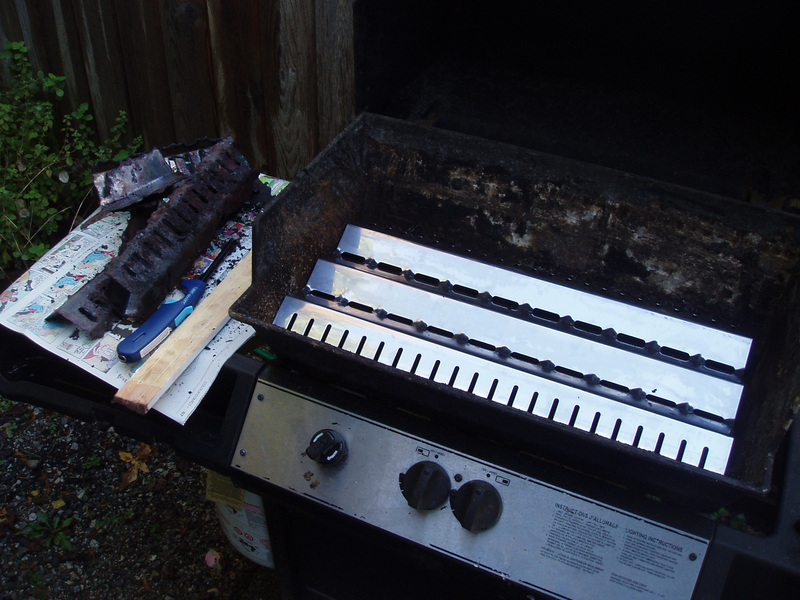 Our barbecue at the cottage was really showing its age, so we priced new ones last fall, hoping to find a bargain at the end of the season. The prices were still a bit off-putting, so we decided to have a go at fixing up the one we had. 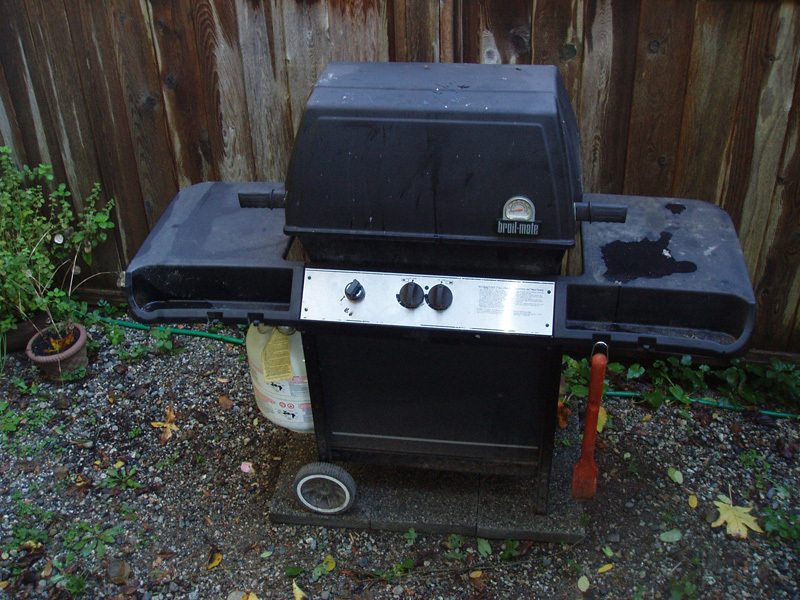 Cottager gave it a coat of black barbecue paint, which made it look better. Then he stopped by the local home hardware with our model number and ordered a new, stainless flame diffuser to replace our disintegrating steel one. 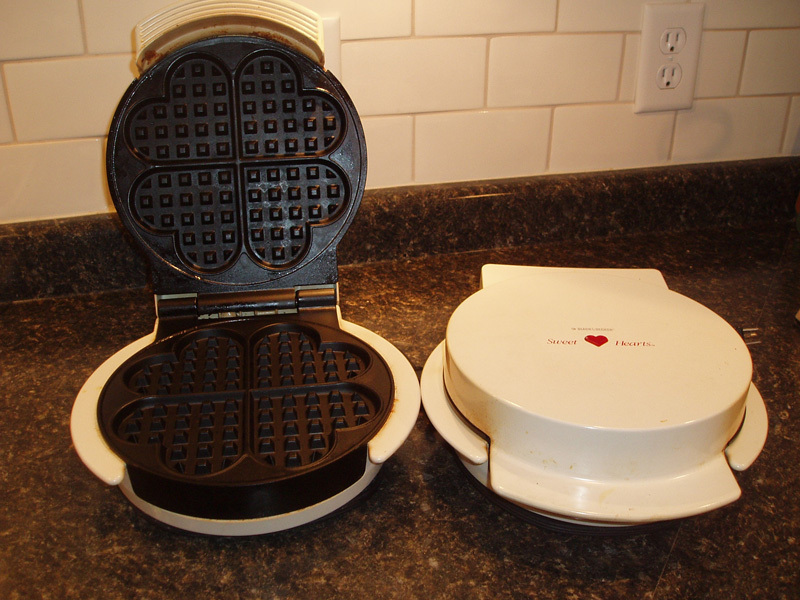 Total cost was about $50 and time – less than an hour, including paint job. The new diffuser just popped right in. 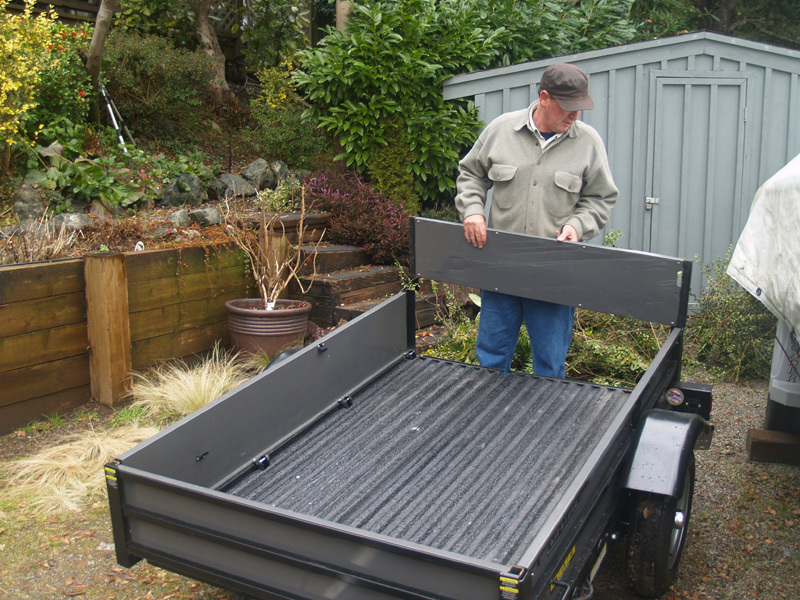 No particular tools or skills required. 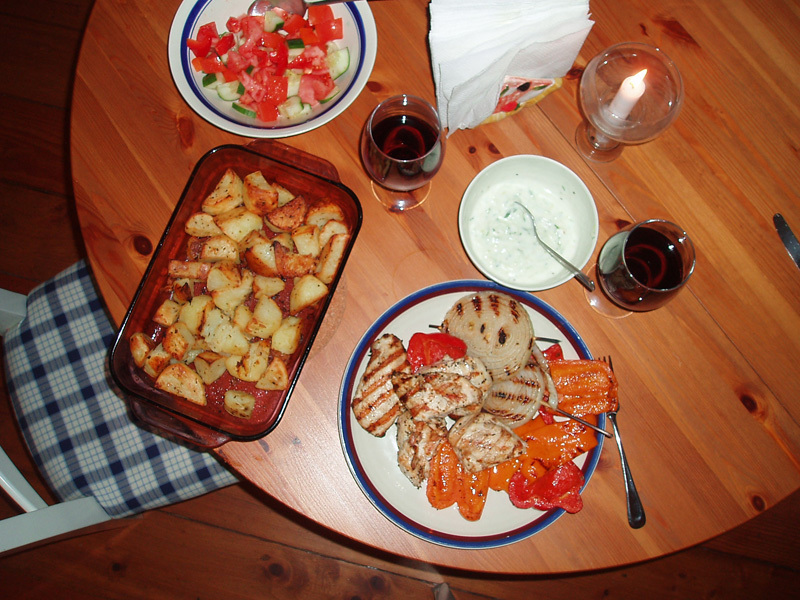 And then we celebrated by grilling Greek chicken, balsamic-marinated sweet onions and peppers, accompanied by roasted potatoes, a Village salad, tzatziki and a bottle of red wine. 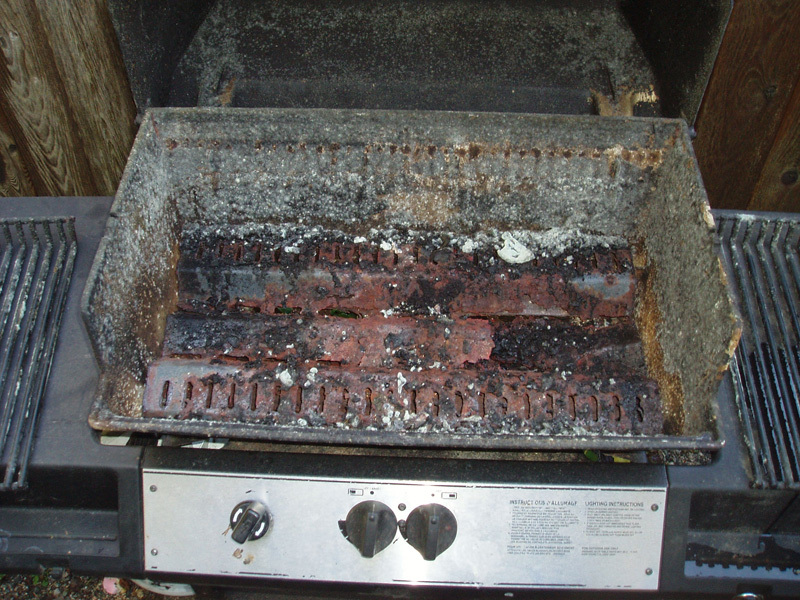 Grill worked great. Looks good. Should give us many more years. 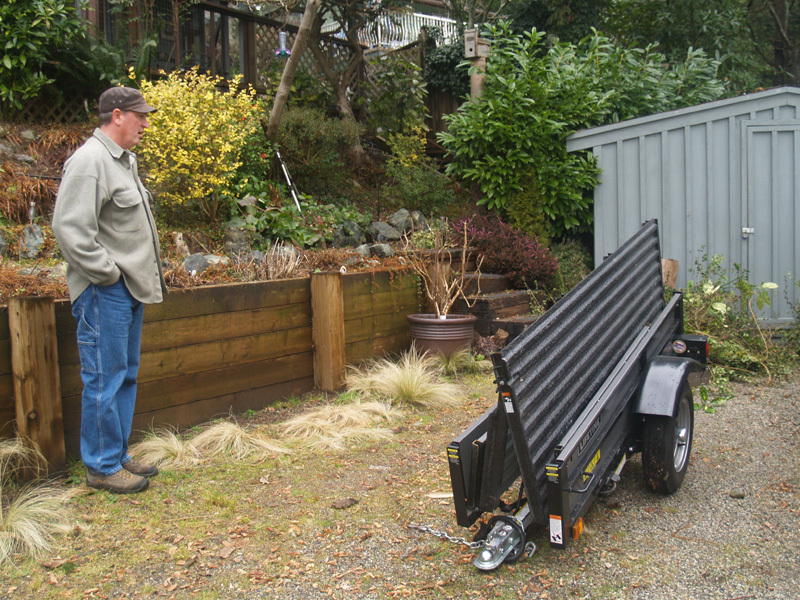 Here’s a brief pictorial essay on the amazing folding trailer that has made our verdant plot a joy to groom. Best part is how little space it requires to store. Load it up and were ready to go. 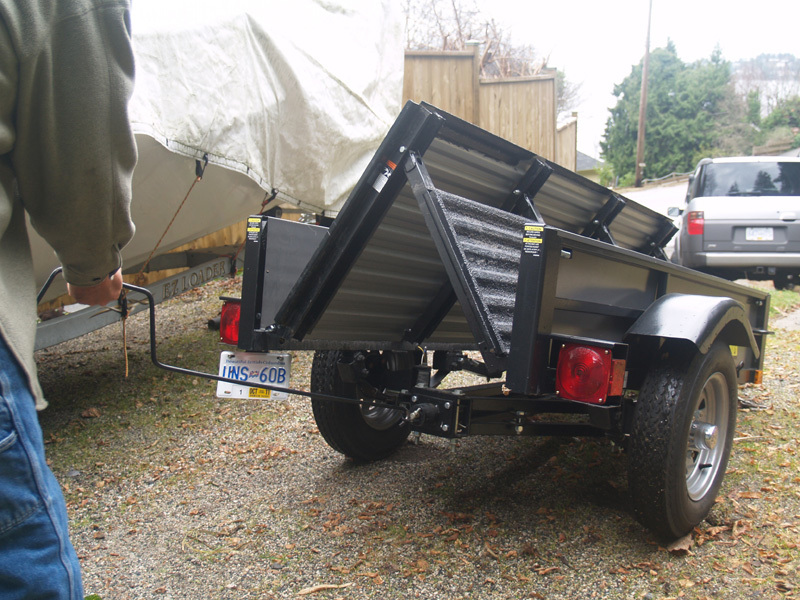 Cottager likes that it matches our Honda Element. I like that the spiders now travel to the Green Waste depot outside the car.